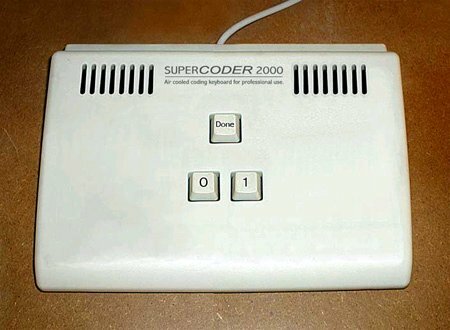 It'll be so much easier having the 1 key to the right of the 0, unlike standard keyboards. Also, the air-cooling will definitely reduce the level of key-melting that I usually experience. Since the 15th I have been exploring the vast and desolate wastelands of the North of England (while visiting my family over Easter), and only returned to Guildford a couple of days ago. Now, after going to the Reading Beer Festival yesterday I'm ready to start work properly again. This is not to say that I haven't been working over the couple of weeks: things have actually come quite far. Before now, the main thing missing from the Juggernaut engine is any proper collision physics: rather than the player's ship bouncing off walls and taking damage (as you'd expect), damage was just applied while the ship was colliding with the main environment. This was just a temporary, but obviously incomplete, solution. However, the advantage of being back in the North was that I only had my laptop with me, which lacks DirectX 10 hardware, and as a result there was no way that I could work on the main game engine. This forced me to do the necessary research in order to be able to implement a decent rigid body physics engine, which means that not only will the ship react well when colliding with walls, but it leaves a lot of room for interesting physics-based challenges, including pulling things around using a tractor beam. I'm currently just doing the refactoring necessary to integrate the physics engine with the main game engine, but in a few days I'm confident that this last major aspect of the game will be working well. After that, it will be full steam ahead towards the creation of the first demo!